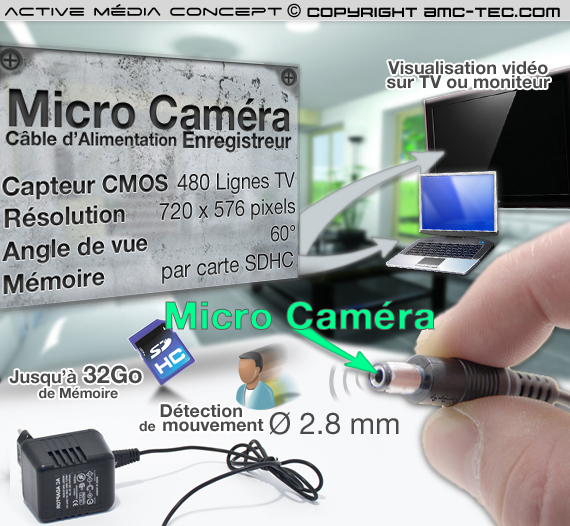 Power cable with a fake micro CMOS Color Camera 480 TV Lines 2.8 mm. 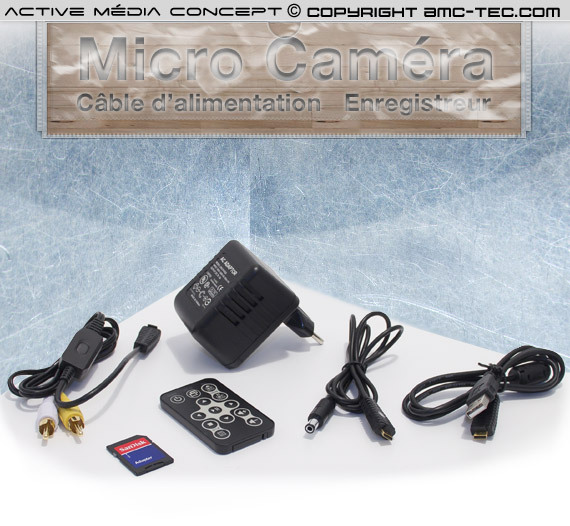 The video recording is done in the audio processor 220 V using a SDHC card of up to 32 GB video capture resolution is 720 x 576 pixels @ 25 fps (MPEG-4 / XVID ). 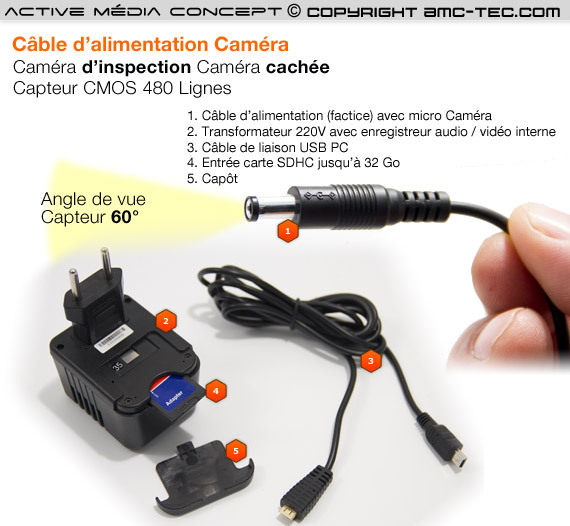 The micro hidden camera is inside the connector cable. 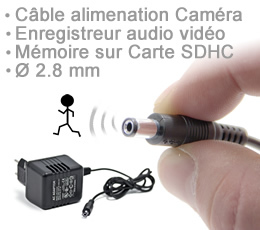 The minimum illumination of the video sensor is 4V (lux sec). 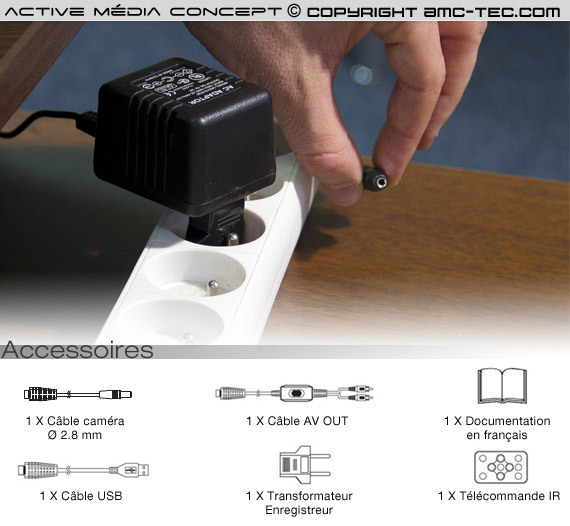 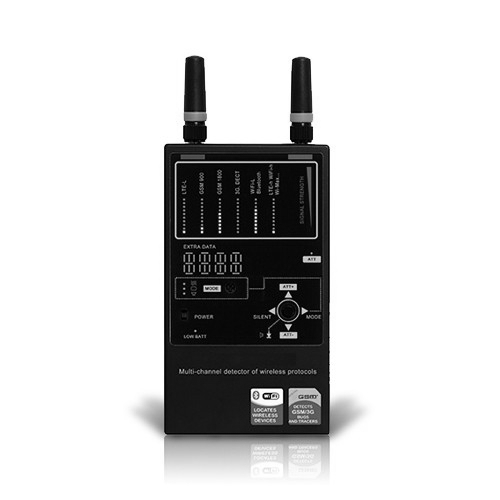 The microphone is deported from the camera it is located in the transformer 220 V, and for the registration system. 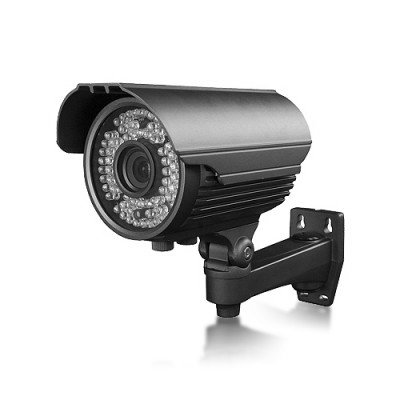 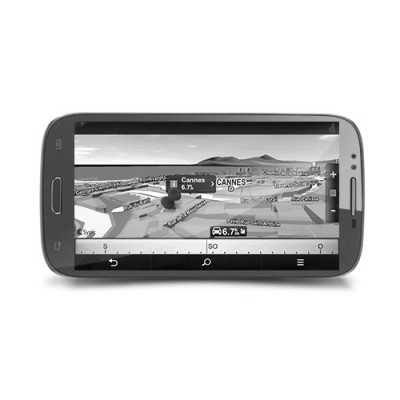 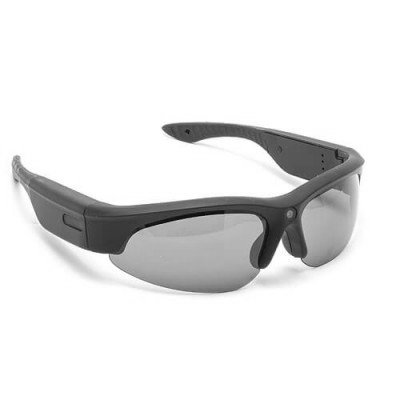 The video can be recorded in motion detection mode or continuously. 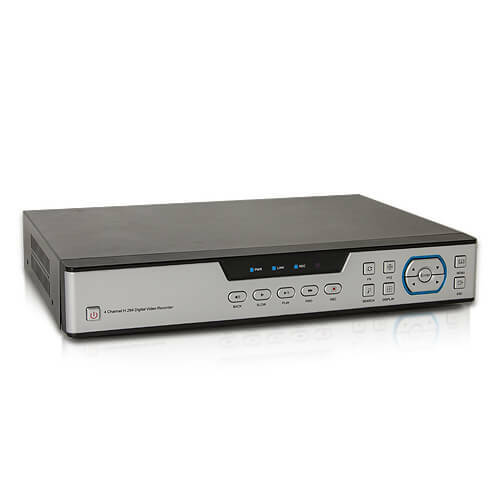 All video recordings will be stored in the charger 220 V, a SDHC memory card up to 32GB recording time to the motion detection is configurable: 1 min / 3 min / 5 min. 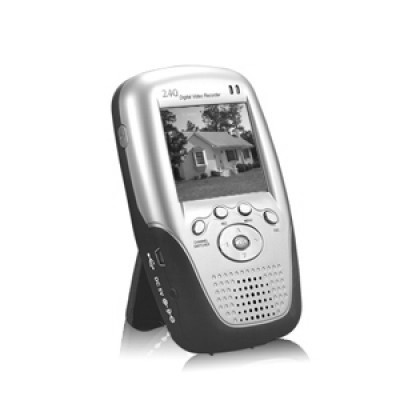 For continuous shooting, use the IR remote.